Amazon.com Price: $69.00 (as of 2019-04-23 02:18:54 GMT) Product prices and availability are accurate as of the date/time indicated and are subject to change. Any price and availability information displayed on Amazon.com at the time of purchase will apply to the purchase of this product. 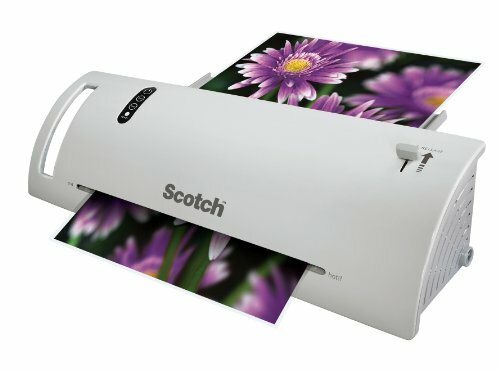 This is a thermal laminator designed to laminate paper products up to 9-Inch wide. The package contains one thermal laminator, plus 12 starter pouches: five letter size pouches (TP3854), four 4 x 6 Inch size pouches (TP5900), and three 3 x 5 Inch size pouches (TP5902). Free Valentine’s Day Card from Vistaprint – Now with FREE Photo Upload! Freebies, Coupons and Offers for You!